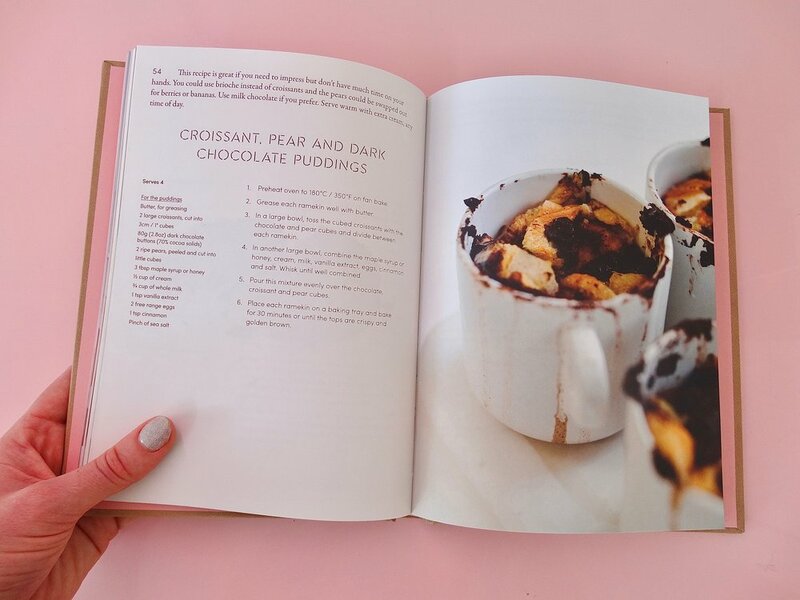 Here’s a wonderfully simple recipe, adapted from my new book Sunday Baking (the original version makes individual puddings and uses croissants). Made with Panettone (the festive tasting sweet Italian bread I am OBSESSED with) and baked in one large dish makes for the perfect Christmas party dessert. Preheat oven to 180ºC fan bake. Grease a large oven proof dish, or use a GLAD Roaster Pan. In the dish, toss the cubed Panettone with the chocolate and pear cubes. In another large bowl combine the cream, milk, eggs, cinnamon and salt. Whisk until well combined. Pour this over the mixture evenly over the Panettone cubes. Bake for 30 minutes or until the tops are crispy and golden brown. Serve warm with liquid cream. To store cover well with plastic wrap and refrigerate for up to one week.